We would like to invite you to Noordung Forum: Building European Blockchain Infrastructure, which will be held on 23th of April at 10.a.m. in Noordung center (address: Na vasi 18, 3205 Vitanje, Slovenia). The event is organized by Noordung Hub and Tolar HashNET in cooperation with Ministry of economic development and technology of the Republic of Slovenia, Noordung center and partner organizations. During this event Tolar will be launching its testnet (see program below). 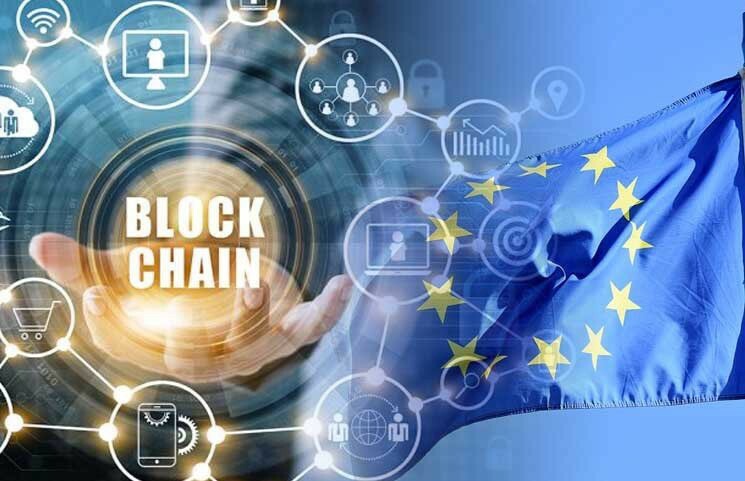 Through the European Blockchain Partnership the European Union has begun to consider Member State cooperation towards the goal of a European Blockchain Services Infrastructure to support cross-border digital public services in interoperable manner. European Blockchain services infrastructure is one of the four actions; the others are Diplomas on Blockchain, VAT on Blockchain, Self Sovereign Identity and the platform, developed by European Court of Auditors for tracing the evidences on Blockchain. At Noordung forum we would like to encourage the dialogue and cooperation in creation of the future European Blockchain Infrastructure between representatives of the ecosystem of business sector of EU Member States, companies, supporting environment and the governments. Participation at Forum is free of charge. Number of participants is limited, please confirm your participation until 21st of April 2019 via e-mail: blockchain@noordunghub.eu. Bojan Hadžisejdić, Director, Nephos d.o.o. The blockchain ecosystem has been steadily maturing over the past several years, and projects are getting both larger and closer to going live, or have already dones so. This is exciting, as we can expect several large platforms to attract significant user bases over the course of the year. Observing these projects and the development of the technology also allows us, perhaps for the first time, to see the outlines of what a “live” blockchain ecosystem might look like in the near term, as well as identify the main challenges and success factors involved. Scalability: the ability to handle large volumes of transactions at high speeds. Interoperability: the ability to exchange data with other platforms, including those running different types of blockchains, as well as with the off-chain world. b) the ability to govern projects, platforms and the core technology in such a way that they remain viable over the long term. As an increasing number of large projects reach maturity, we can also begin to identify the characteristics of the successful ones. In sum, we believe that projects need a clear vision of what they want to accomplish, a clear reason for using blockchain instead of traditional database technology, and strong governance structures that provide clarity on roles and responsibilities and support collaboration and sharing of effort and expertise among diverse stakeholders. We think government can play a role in fostering success as well through supporting the development of the base blockchain infrastructure. We therefore take a look at the key success factors for such an infrastructure, and some of the principles we believe policy makers should follow to support its development. If 2016 was the “year of education”, when people learned about blockchain and its uses, 2017 the “year of proofs-of-concept”, during which people experimented to validate theses, and 2018 the “year of large-scale projects”, with a number of significant projects announced and in development, there is now very good reason to believe that 2019 will indeed be the “year when projects go live”, with a number of major platforms slated to go or already in production. So where is blockchain adoption headed in the near future? A popular approach involves a group of market participants (who might very well be competitors) that come together to build a market platform. Such consortia are governed collectively by their members. In other cases, a single provider may build a platform and open it up for others to use. Another approach, less common but with interesting implications, is to build a general purpose, large-scale platform for more or less general transacting within a de ned community that provides an infrastructure for members to build upon. Networks are powerful in proportion to their size. As we know, large private versions of the Internet like AOL eventually disappeared as the maturation and adoption of the world wide web provided average people with user-friendly access to the open, decentralised, global version. This model won the day mostly because it proved the most inclusive and most useful. Something similar is likely to happen in blockchain. It seems clear to us that a multiverse of independent blockchains that cannot interoperate would be severely limited. Users of blockchain platforms will find it beneficial to be able to exchange data and maktransactions between chains too: a healthcare chain connecting to an insurance chain, a real-estate chain connecting to a construction- materials or manufacturing chain, and so on. Just as TCP/IP and the rest of the Internet stack became the open, freely accessible backbone of the Web of Information, we think that a small number of global, decentralised blockchain networks will also emerge as the backbone of a Web of Value. This is, however, by no means the only possible scenario. We may also see interoperability technologies arise that allow for seamless interaction between blockchains, resulting in a mesh network of directly interoperable chains. A new technology can’t become successful on a mass scale without the right infrastructure. This includes such things as the technical hardware and software stacks, standards, the legal framework as well as governance best practices. Through the European Blockchain Partnership the EU has begun to consider Member State cooperation towards the goal of a European Blockchain Services Infrastructure to support cross-border digital public services. • Create an environment and a set of foundations conducive to the development of an innovative, world-class blockchain ecosystem in the EU. • Make it easier and cheaper for public and public/private initiatives to design, test and deploy projects based on blockchain technology. • Establish interoperability standards that make it possible for individual projects to communicate with each other easily and securely, with no leakage of sensitive data. • Facilitate knowledge transfer between projects. At this early stage of the technology, it would make sense for the EU Blockchain Infrastructure to hedge its bets by allowing multiple technologies to operate and compete on the platform. Similarly, it could be argued that, by allowing multiple identity solutions, payment solutions and other technology components to operate on the EU Blockchain Infrastructure, the platform will protect itself against vendor lock-in and will encourage providers to develop interoperable solutions. The EU should foster interoperability through various policy means. Interoperability is a functionality offered by a speci c tool or library, and each tool or library is usually customised to an origin, a destination, a type of data and the level of trust that the origin and the destination have in certain “signing authorities” associated with the data. We cannot request that a EU Blockchain Infrastructure should have “interoperable blockchains”. Rather, we ask for specific interoperability functionalities, and expect these functionalities to expand over time. Blockchain-based government services applications are unlikely to be able to operate without a strong underlying digital identity ecosystem. A decentralised identity ecosystem includes a wide universe of applications, devices and authorities, allowing users to store identity credentials in the repository of their choice and use them across multiple blockchains and applications. Such a decentralised identity ecosystem could be designed to interoperate with the centralised national digital identity schemes and eIDAS, the European framework and platform for such schemes. Many blockchain-based workflows involve some form of automatic payment when certain conditions are met (such as the completion of a workflow). Given that blockchains and banking systems are often two separate environments, these work flows are unlikely to be able to operate unless at currencies are given an existence on blockchains, and can be manipulated by smart contracts. The EU Blockchain Infrastructure could allow users to access tokenised at currencies, for example by allowing private financial institutions to issue tokens in proportion of the amounts held by these institutions in escrow accounts or by working together with the European Central Bank to issue a central bank-backed form of tokenised euro. The EU Blockchain Infrastructure should allow users to request regular back- up of their server instances and their data. The EU Blockchain Infrastructure should, at some point in time, offer “roll-back” functionalities. While blockchains are, in principle, immutable, there may be especially critical situations where processes or data have been corrupted due to a bug or a security issue, making it necessary to roll-back or fork one of the blockchains. Such roll-backs or forks should be exceptional, and decided only by the highest governance bodies of the Infrastructure platform. Nevertheless, if they happen, it is important to have pre-existing governance, processes and functionalities in place in order to make them happen quickly. The EU Blockchain Infrastructure should not, in principle, lock the data of public services within a specific blockchain technology. Governing bodies should request that technology vendors generate “living wills”, i.e. high-level guides outlining how the data could be migrated out of their technology into a standard database, should the need arise. Editorial team of Tolar - an open source, community governed crypto-currency featuring scalable, fast, secure, and fair transactions. Tolar is an open source, community governed crypto-currency featuring scalable, fast, secure, and fair transactions.